Edith Caroline Arragon was born in Marylebone, London on 24 January 1880. She was the daughter of Charles John Arragon, a local house painter, and Jane Saunders. In 1891 Edith was boarding at the priory school at St. Marychurch in Torquay, Devon with her older sister Winifred. She came to stay with Ernest and Alice Wilkins at Meadow Cottage in Wrotham Heath during the war to escape the bombing in London (she had been working as a housekeeper in Chelsea), and was an old friend of Alice’s. On the night of the bombing of 15 October 1940, Edith (or Edie as she was known) had been at the Royal Oak when the bomb hit the pub. 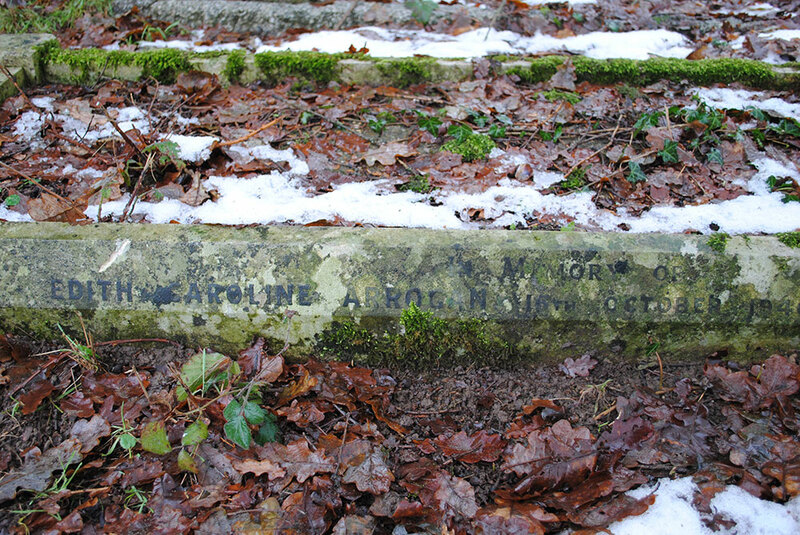 Edward ‘Ted’ Lowes (of Whatcote Cottages) and Joan Wilkins, were walking towards the ‘Oak’ where they were due to meet friends. They saw the explosion and Ted subsequently found Edie under rubble and carried her outside, however she was already dead. Edie is buried in the Platt churchyard.